The beautiful Daria collection vanities stand out in any bathroom with strong, clean lines and elegant raised panels. There's plenty of cabinet space, the fully extending drawers are dovetail construction, and chrome detailing completes the look. Daria vanities deftly combine the function of today with a nod to the elegance of the past. It's the new modern classic styling with a contemporary twist. Metal exterior hardware with polished chrome finish. Two (2) functional doors. Three (3) functional drawers. 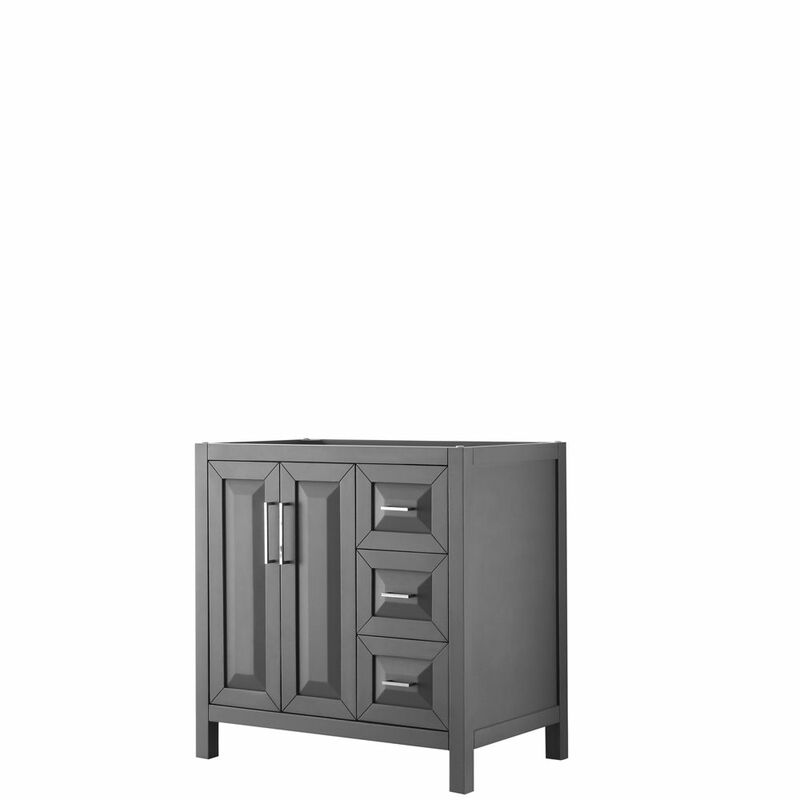 Daria 36 inch Single Vanity in Dark Gray, No Top, No Sink, No Mirror The beautiful Daria collection vanities stand out in any bathroom with strong, clean lines and elegant raised panels. There's plenty of cabinet space, the fully extending drawers are dovetail construction, and chrome detailing completes the look. Daria vanities deftly combine the function of today with a nod to the elegance of the past. It's the new modern classic styling with a contemporary twist.